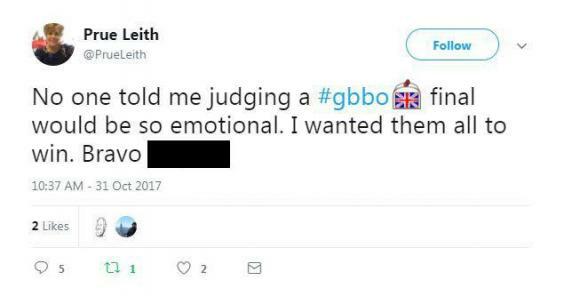 Prue Leith has accidentally shared the winner of this year’s Great British Bake Off winner on Twitter, just hours before the final airs on Channel 4 tonight. Poor Prue must be wanting the ground to swallow her up after congratulating the Bake Off winner on Twitter this morning. Obviously realising her mistake, the Bake Off judge quickly deleted her post. However, for those who had seen it, the damage had already been done. 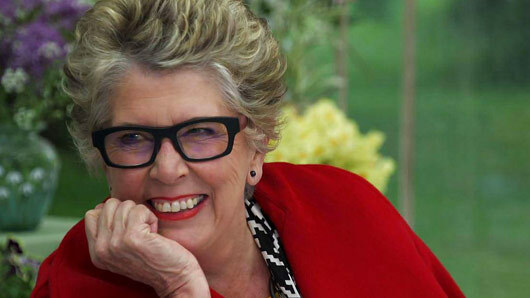 Prue Leith has just ruined all the goodwill built up by her excellent stylist. #GBBO fans, get off the Internet now until it airs. The Great British Bake Off final airs tonight (Tuesday 31 October) at 8pm on Channel 4.